Are Gravity Water Filters Suitable for Home Water Treatment? Gravity water filters were designed to provide a water filtration solution for situations when – for various reasons – municipal water is not available. In theory, these filters can be used with all sources of water that haven’t gone through the municipal water treatment process (e.g. springs, rivers, lakes, etc.). This makes gravity water filters extremely proficient at dealing with microbiological contamination issues, and water pollutants commonly found in untreated natural water sources. 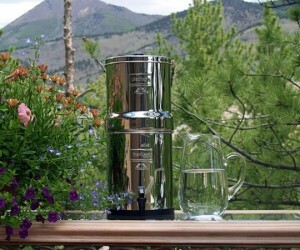 But what if you wanted to use a gravity water filter for home water treatment? 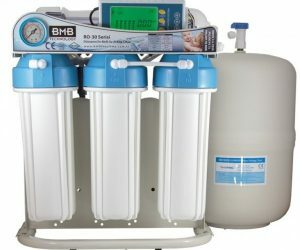 Would a gravity-fed filter be a suitable choice? Are Shower Filters Worth It? Shower Filters – Worth It? If you’re already using a countertop or undersink water filter, you’re probably well aware of the many benefits of filtered tap water. A shower filter can deliver the same benefits to your skin, hair, lungs, and general well-being. Most of us are weary of drinking unfiltered tap water, yet take no issue with bathing in unfiltered water. Unfortunately, showering in chlorinated water is just as bad – or even worse – as drinking it. Are 3-Way Kitchen Taps The Best Filter Taps? Filtering tap water requires that you install a water filter system in your home. The type of water filter you choose will end up determining the type of water filter tap you will use to draw filtered water. When it comes to filter taps, there are two main options: standard filtered water faucets that only dispense filtered water and 3-way kitchen taps that also dispense unfiltered hot and cold water. Each filter tap has its own pros and cons, but for the most part, 3-way taps or triflow taps seem to outshine their standard counterparts. In this article, we’re going to analyse the merits of each to determine if 3-way taps are the best filter tap you could get. Dental Surgery Water Filters – An Alternative to Water Distillers? For the most part, dental surgeries use water distillers to purify water that’s used in sterilisers or autoclaves, or for other medical activities carried out in a dental surgery. Water distillers feature a heat source and a condenser, and remove contaminants with a higher boiling point than water, such as heavy metals, minerals, or bacteria. However, water distillers are not efficient against contaminants with a lower boiling point than water (e.g. chlorine), which means that these contaminants can transfer to the condensed water and further purification or pre-filtration might be needed. This is where dental surgery water filters come in, which produce medical-grade water at a faster rate and at a fraction of the cost of distilled water. The most popular type of dental surgery water filters are reverse osmosis water filters designed specifically for dental practices. In this article, we take a look at the advantages of dental surgery reverse osmosis water filters compared to water distillers, with special focus on the Osmio BMB DG-105 Dental Surgery Reverse Osmosis System. Reverse osmosis is at the heart of many home drinking water systems, and its popularity is not coincidental: Reverse osmosis water filtration systems have excellent contaminant rejection characteristics, which makes them one of the most efficient filters on the market. Thanks to their multi-stage design, these systems are capable of removing fluoride, heavy metals, bacteria, viruses, sodium, chloride, cyanide, and many other taste-altering and health-related contaminants. Reverse osmosis water filters sound like a great choice for home water treatment, but before you take it upon yourself to install one in your home, there are a few things you should think about first. Is An Undersink Water Filter Good Enough For At-Home Water Filtration? 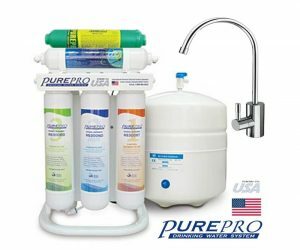 Is it Enough to Install an Undersink Water Filter? If you’re searching for a water filter for your home, but you’re having trouble deciding which filter you should get, you’re not alone. Water filters come in all shapes and sizes, and for all types of purposes, so it’s normal to get a bit confused when faced with the decision to choose one filter over the other. Undersink water filters are by far the most popular filters used in residential water filtration, yet, sometimes, undersink water filters may not be the best choice, and depending on your tap water situation, other filter systems may be more indicated. 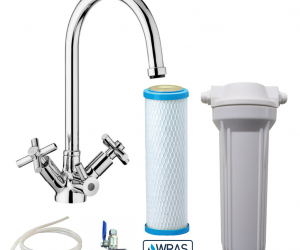 If you’re not sure that an undersink water filter is good enough to take care of your at-home water filtration needs, this article will help you decide on the right filter for you. For those who are not sold on the whole idea of bottled water being the healthiest liquid to quench your thirst with, filtering tap water is an effortless and inexpensive alternative to drinking bottled water. 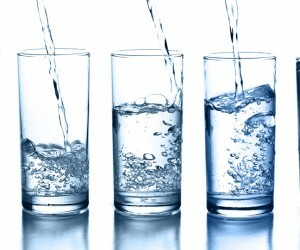 If you’re worried that filtered water may not be as convenient of a choice as bottled water is, we introduce you to 3 water filter must-haves that will change your mind about filtered water and help you significantly cut down on your bottled water consumption. 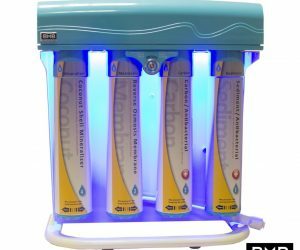 Why Use Activated Carbon Filters? As an all-natural method to purify water, it’s hardly a surprise that carbon is used in almost every type of water filter system from residential filters to commercial ones. Activated carbon owes its popularity to its highly porous structure that is capable of adsorbing various chemicals and organic substances that may be contaminating your tap water. Mixing regular carbon with oxygen “activates” it, opening up tiny pores between carbon atoms — referred to as the “carbon substrate” — which then attract and trap harmful contaminants, transforming water sources into tasty, contaminant-free drinking water. 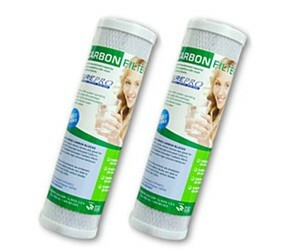 Carbon filters are used in residential filters as stand-alone filters or as a complementary filter in multi-stage water filter systems. If you’re an environmentally conscious individual or you just simply don’t like to spend money on bottled water, drinking filtered tap water can help you to reduce plastic waste and save money in the process. Water filters are the best way to improve the taste of tap water, remove contaminants, and enjoy healthier drinking water from your kitchen tap. Most residential units are easy to install and maintain. Our tips on saving money on water filters and water filter cartridges can help you discover the best deals, guide you in choosing the best filters, and teach you how to care for your residential water filter. Not a big fan of bottled water or tap water? Here’s how you can ditch the cap in favour of the tap, and enjoy great-tasting drinking water straight from your kitchen tap without worrying about contaminants or bad tastes. 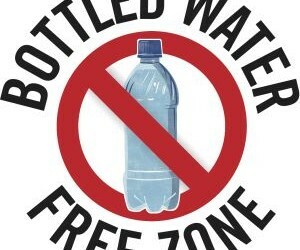 Unfortunately, bottled water is a huge strain on the environment, and comes at a significantly higher price than tap water. However, tap water may also not rank high among your preferences due to taste and odour issues, or even contamination issues. In this context, filtering tap water is an easy solution to the environmental concerns associated with bottled water, and an equally simple way to improve the taste and odour of tap water, and remove any contaminants that may adversely affect your health. 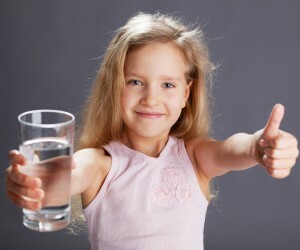 At any given time, tap water may contain various types of contaminants that may alter the taste or appearance of water, or that might downright cause illnesses or gastrointestinal problems. Despite the rigorous safety standards tap water must comply with, old plumbing systems or old faucets can cause various unwanted contamination issues like bacterial build-up, or lead and other metals leaching into the water. Likewise, accidental contamination of the water supply in industrial areas is also a potential risk. In such cases, single-stage filters may not be enough to successfully remove all the contaminants that may be lurking in your tap water. If you’re thinking of buying a water filter for your home, read this article to find out why a multi-stage water filter is the best filter option for your home.